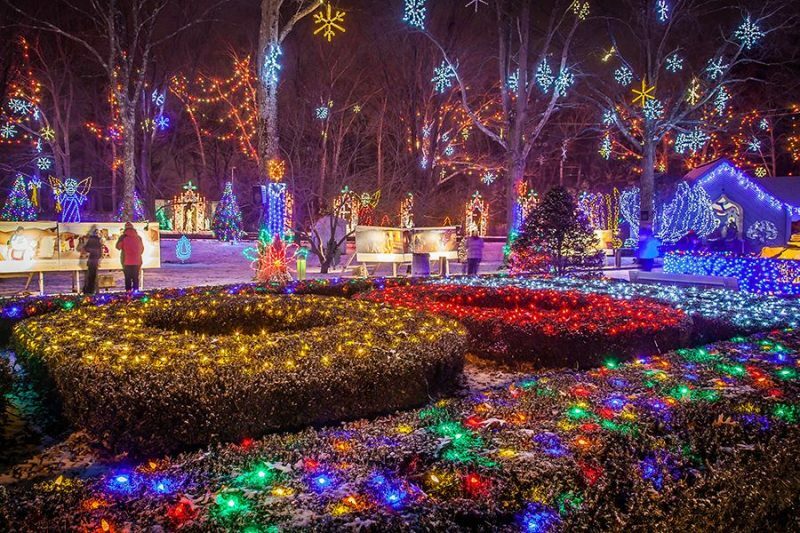 The 64th Annual Festival of Lights is a beautiful religious light display with more than 300,000 lights over 10 acres of land. The lights are generally on from 5 p.m. until 9 p.m. Seeing the display is free of charge. International Creche museum with hundreds of creches from around the world, 5-9 p.m. weekdays and 2-9 p.m. weekends. The Outdoor Creche of Bethlehem featuring a candle lit with a flame from Bethlehem, Israel. Food and drink will also be available for purchase. FROM 95 (N & S): Take Exit 3 (Rte 123 E) through 5 lights to the center of Attleboro (follow sign saying 123 East—118 South—Norton—Brockton). FROM 295: At the northern end of the road, take 95 South to Exit 3 (Rte. 123 E) and follow the above directions for 95. FROM 495: Take Exit 10 (Rte. 123 W); turn towards Norton/Attleboro; follow Rte. 123 W approx. 5 miles to a set of lights with a Honey Dew Donuts on the left; turn left at the lights onto Forest St.; follow Forest St. until it ends at Park St. (Rte. 118 S); turn left onto Park Street (one way); drive 1.5 miles passing Bliss Bros. Restaurant and Hope Gardens; watch for shrine entrance on right. Traffic can get very heavy on weekends, especially Saturday night. If you can plan your trip for a weekday, you will find easy entrance. If you do wish to come on the weekend, it is advised you get there before 4:30 PM to miss the traffic.